UPDATE: I've been back a few times and notice that the quality is a little inconsistent and sometimes less impressive. Partly my fault - I keep forgetting to add the mushrooms to my ribeye cheesesteak, which makes a big difference. I really love finding hidden gems or amazing food that hasn't been hyped about yet. 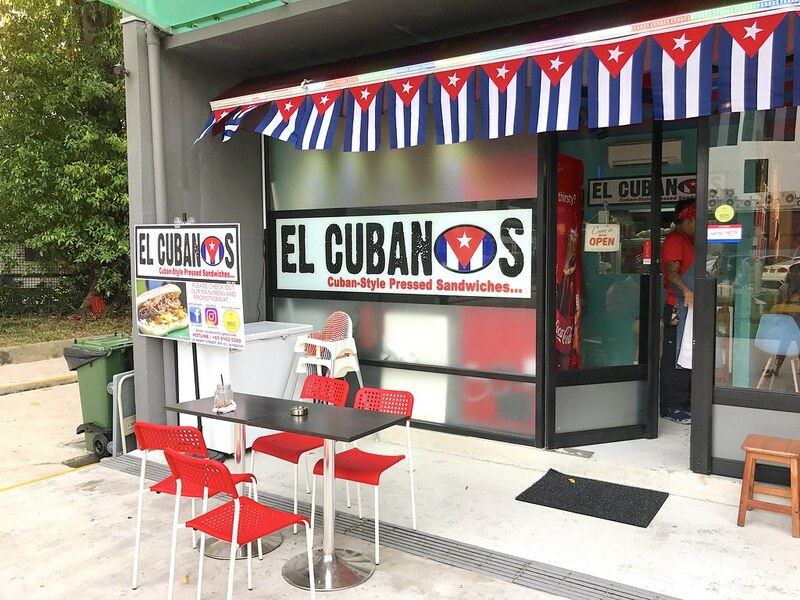 El Cubanos is one of these places. 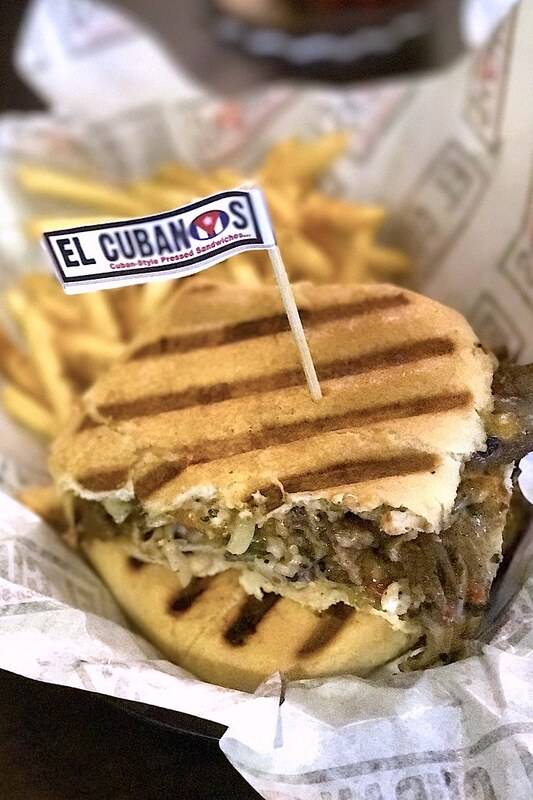 It serves Cuban-style pressed sandwiches which not only take your tastebuds by storm but are affordably priced too. Chef Sanny Abdul Salem is incredibly energetic and passionate about making good food, and you can taste it from the first bite. He and his crew were bartenders and cooks, so they make use of their experience to whip up amazing food and drinks as well. They started out as Ramadan stalls, then had a place in Jalan Kayu in a shared coffeeshop, but now have found a permanent home at 1A Short Street (where NAFA used to be). I'm so happy it's a convenient central location because I'll be going back regularly for my fix. The Ribeye Cheesesteak Cubanos (S$8.50) is my favourite here. Thin slices of ribeye are sautéed with onions and bell peppers before being smothered with cheese. Chef recommends adding mushrooms (it's a mix of shiitake, shimeji and white button mushrooms). The hearty sandwich is served with Cajun Fries on the side. It's mildly spicy with heat from jalapenos or some other secret chili. Actual Cubans who tried this have said it's too spicy for them (Cuban food is apparently greatly lacking in spice heat) but heck, I love it. It's the kicker. I really don't know how chef keeps it at just $8.50; that's hardly more than a burger and fries at McDonald's but you get real ribeye and so much more satisfaction. 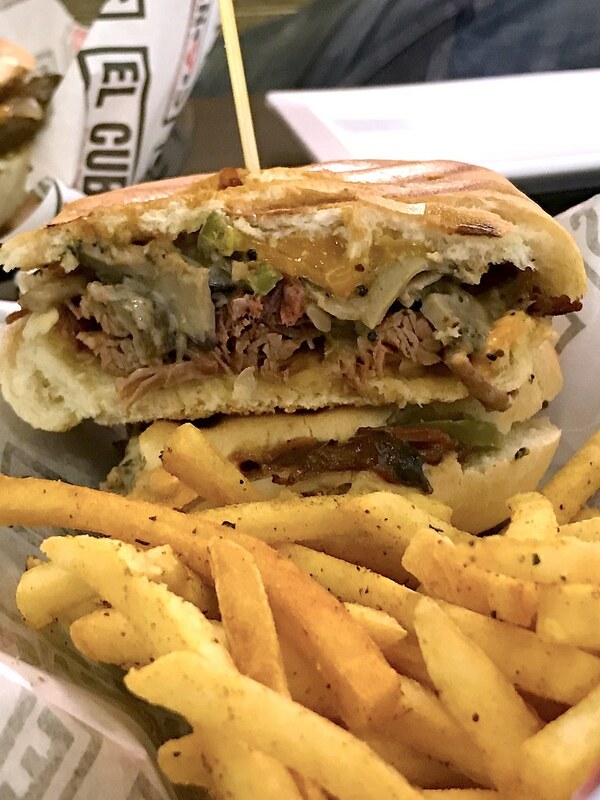 The other star we tried is the Signature Pulled Beef Cubanos (S$8.80), which is Chef Sanny's take on the pulled pork sandwich but this is a halal version using beef. Beef brisket is slow-cooked for six hours and then served with BBQ sauce, spicy mayo, and cheddar cheese. It's also incredibly shiok, but this one is not spicy at all, unlike the Ribeye Cheesesteak. Cajun spiced fries come with this as well. Don't miss the drinks here. 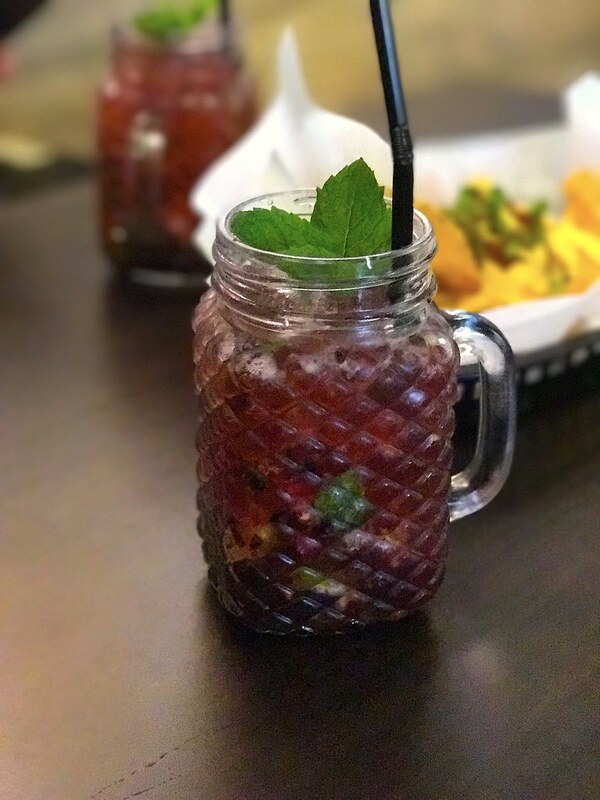 The Virgin Mojito (about $5.90) is amazingly refreshing and perked up with berries. I know, some of you might be thinking a shot of dark rum would make this perfect, but this is great for Muslim diners and people who can't drink, like me. 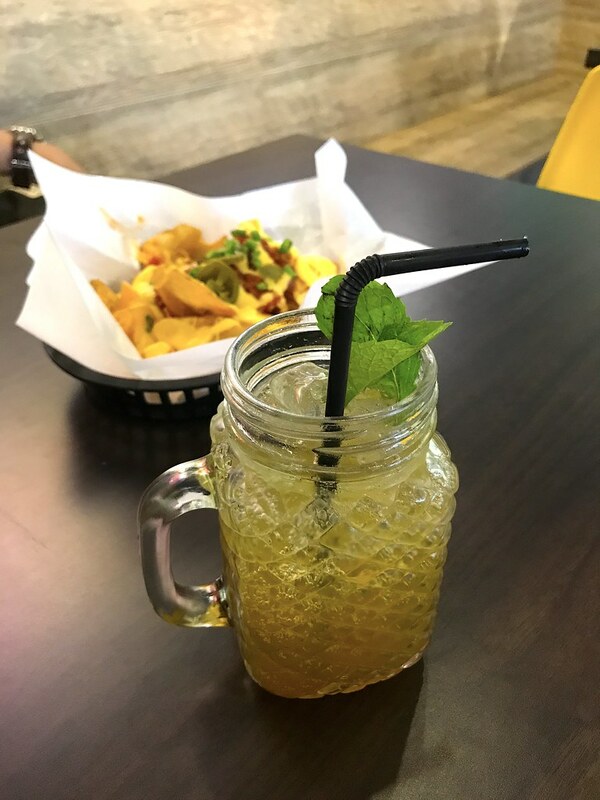 But the surprise drink here is the Dark Calamansi Lime Lemongrass Soda (about $4.90) made with dried calamansi from Kedah. The lemongrass opens up the flavours. Chef says it's a huge favourite with the ladies, and even his wife keeps a stash at home. Chef very kindly gave us this on the house, Crispy Chubby Chips ($7), which are thick sliced potato chips with beef chili con carne and jalapenos, plus generous lashings of cheese. 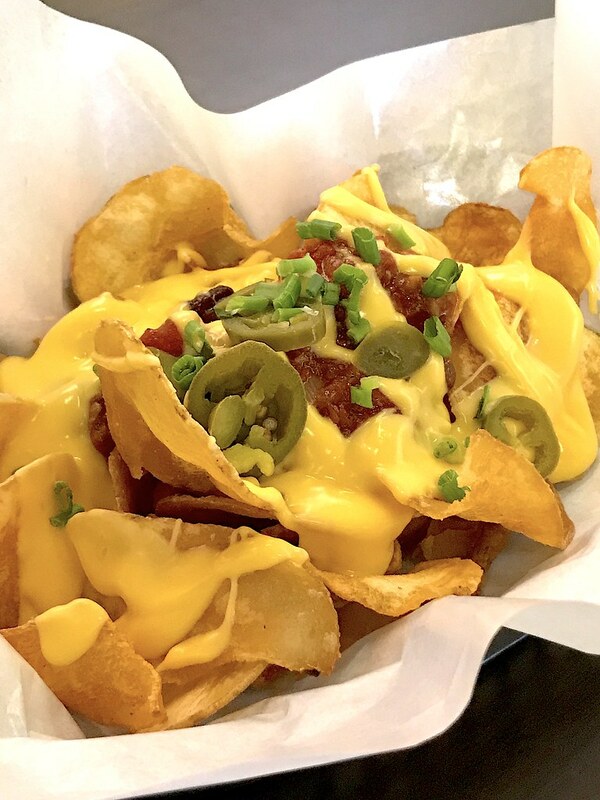 My gosh, this is WAY BETTER than nachos! Kennot stop eating...ketagih betul (addictive). 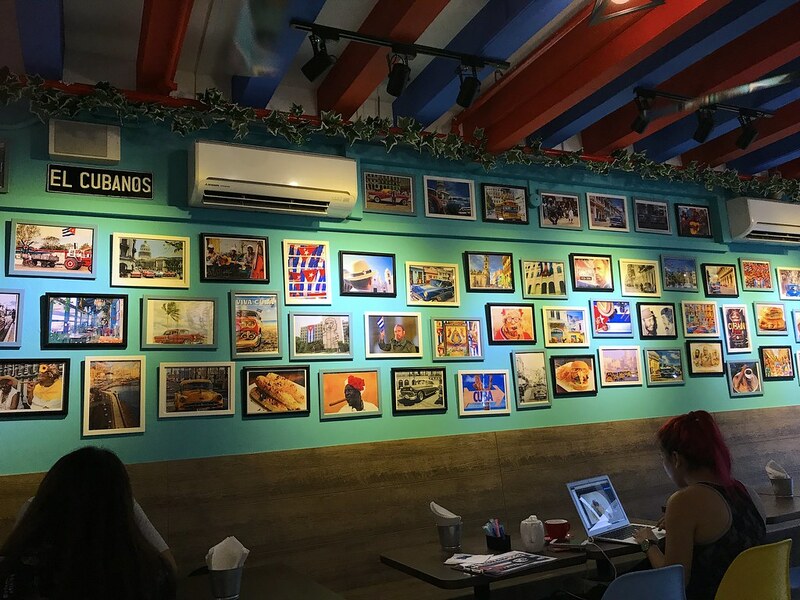 The place itself is decked out vibrantly with scenes and colours of Cuba. 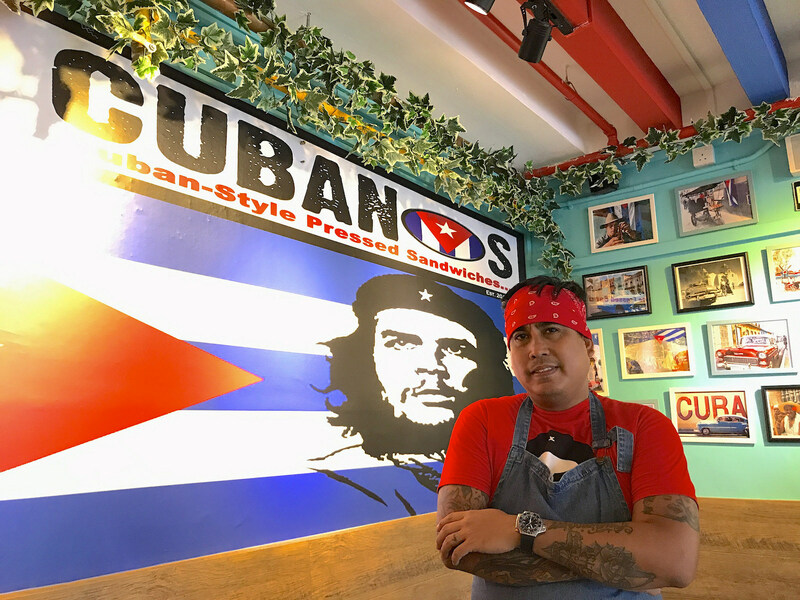 Chef Sanny is completely in love with all things Cuban, their culture, history and spirit. I love the unpretentious cafe vibe and those comfy Eames-inspired chairs that I've been eyeing on FortyTwo. And there's wifi if you need it. 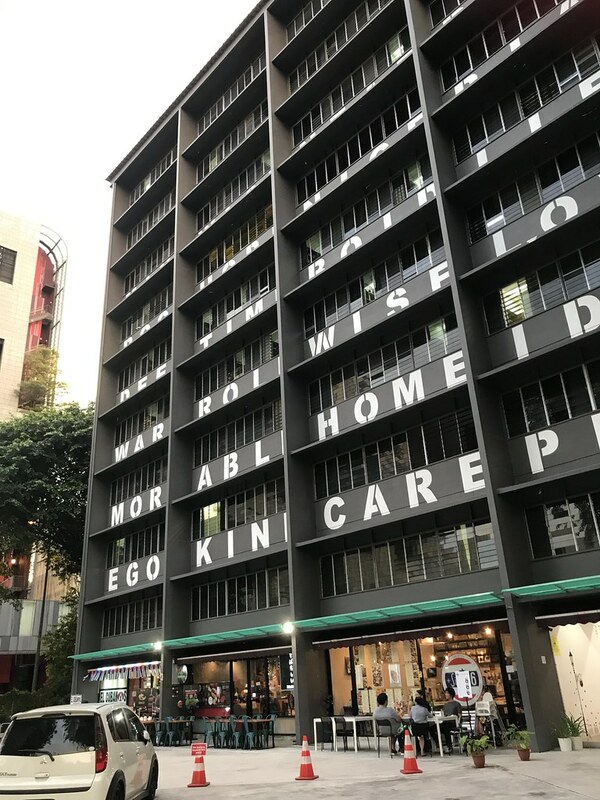 Look for this shopfront at the left side of this building below.